Videonale, the Festival for Video and Time-Based Arts took place at Bonn (Germany) from February 21 to 24, 2019. As part of its program, it organized a series of lectures, panels and workshops related to video art and digital cultures. DARTS member Dr. Pau Waelder was invited to moderate the panel Internet Culture(s) – Resistance and Options with the participation of Dr. Tatiana Bazzichelli (director Disruption Network Lab, Berlin), Zach Blas (artist/lecturer in Visual Cultures, Goldsmiths University London), Vera Tollmann (cultural scientist/writer, Berlin), and Liz Haas from UBERMORGEN (artists/professors Academy of Media Arts Cologne). The panel examined the influence of internet culture on visual art, placing a focus on artworks produced for the internet as well as alternative models to the status quo. What democratizing potentials does the internet possess, how does it alter our notions of reality, individuality, originality, identity, and truth? It also addressed questions related to surveillance and resistance, as well as the control of images and information. 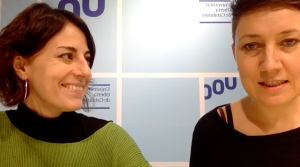 Pau Alsina and Irma Vilà are part of the Biennial Ciutat i Ciència curatorial to be held in Barcelona from February 7 to 11. Increasingly, science is part of our lives and, increasingly, citizens have more weight in deciding which paths to advance the search. And in Barcelona there is a lot of science and a very high level. So much so that the city is one of the European referents in various fields of research. 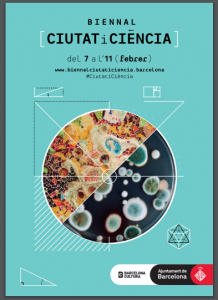 In order to facilitate the dissemination of scientific knowledge that is generated in Barcelona and strengthen its link with the public, from 7 to 11 February, the City and Science Biennial will be held in numerous facilities in all districts. It will employ a total of 138 participating specialists. The Biennial has seven objectives in the field of science: reflecting, participating, connecting, reinforcing equality, transmitting knowledge, enhancing transversality and complementing the Barcelona City Council’s Science Plan. In order to achieve them, it has designed a wide range of activities of very diverse formats: conferences, debates, conferences, hackatons, performing arts, music, cinema, workshops … An extensive offer that invites reflection and with which the public can Find answers to many of your concerns, understand the processes of science and actively engage in research. At the same time, it also aims to promote new scientific vocations on equal terms and bring science closer to children through an offer aimed at families. In this line, the activities of the Biennale provide keys to form opinions and to make decisions with scientific criteria. A part of the program is framed in concepts such as citizen science or citizen laboratories, where non-specialized people participate in research projects and in the generation of new knowledge based on the real demands of society. Other activities, such as debates or a film series with a later discussion, analyze the limitations of science, methodologies, ethics, and social issues. And it goes without saying that many of the activities have a future-oriented look at the challenges that we face and how science can help us achieve them. In short, five days to focus on the future, the challenges we face and participate in scientific thinking. Here (web) and here (pdf) you’ll find the complete program. 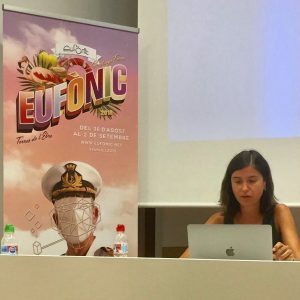 Laia Blasco presents “Qualified self: verdad y subjetividad en la visualización del Quantified Self” at Interface politics II, After post-truth. Gredits, Barcelona. Quantified Self is today a technical reality that structures datasets of all kinds of interfaces that are created to establish, build and transform the relationship with the self, data and society itself. In a “datified” world, data visualization challenges traditional representation systems opening up a vast world of analytical and graphic opportunities. As user interfaces that are, data visualizations are artificial devices that transport cultural messages in a great variety of forms and supports; Furthermore, they are never neutral mechanisms of data transmission, but rather they affect the messages, providing a model of the world of their own, a logical and ideological scheme. The fascination with Big Data and the creation of increasingly sophisticated user interfaces pave the way for the proliferation of diverse mutations in the semiotic production of truth. A truth that springs up on the false transparency of the quantitative representation of the world and of the self. This paper analyzes the implications of the Quantified Self and its visualizations, showing its mechanisms, deceptions and fallacies behind its apparent neutrality, and demonstrating its qualitative quality inscribed in the underlying logics. 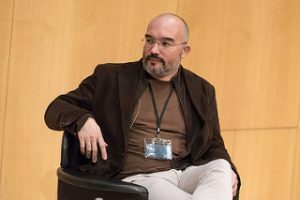 Quelic Berga participates at the Interface Polítics II congres with the paper: “Liquid film montage. A critical study of interactive documentary tools”. The congres will take place on November 28, 29 and 30, 2018 at the BAU (Barcelona). In this paper we present a comparative study among the main interactive documentary tools and we reflect upon their adoption by industry, academia and society. The core aim is to show, analyze and compare the creative implications of different metaphors that articulate each of these audiovisual tools. And at the same time, to explore how these different approaches to audiovisual montage result in the preconfiguration and enhancement of different narrative grammars and regimes of truth. Through this comparative study of tools we focus on this emerging format [Guifreu], also called i-doc or webdoc, to understand and reflect on its impact in the definition and transformation of contemporary audiovisuals. To approach the subject we first set up a framework that takes in consideration different perspectives of the media related studies; We begin by pointing briefly to some of the most significant theoretical and conceptual contributions that have marked our study, especially from materialist media studies [Fuller], software studies [Manovich] and humanities computing [Murray]. We distinguish and focus specifically on interactive documentaries softwares among other audiovisual tools and artefacts found in the computing environment. Within this type ofsoftwares, we focus on contemporary programs for authorship of interactive documentaries: Korsakow  developed in Germany by Florian Thalhofer and Matt Soar, the French tool Klynt  by the Honkytonk Films team, Eko , developed after Interlude , by the Israeli-American team of Yoni Bloch and finally the PlayFilm platform developed in Valencia. The objects of study of this article are the multimedia tools of authorship and their interfaces. It is beyond this study to observe in detail their resulting objects; interactive documentaries. Apart from analyzing the graphical user interface, we compile other types of data surrounding the artefacts, considering not only the tool itself, but the cultural ecosystem in where it unfolds [Bertelsen & Soren]. The result of the analyzes of those four softwares allows us to develop a comparative table considering several characteristics: we analyze the constructs, models and methods provided, the use of the vocabulary of each program, the distribution and design of the interfaces, the functionalities and features, the technologies used and finally, the most frequent and specific uses of each tool. 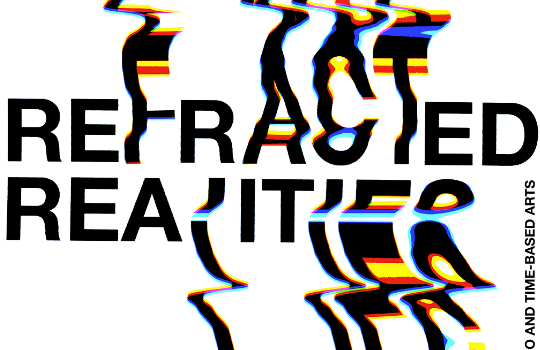 We close the article reflecting on the impact that contemporary audiovisual montages that are liquid or mutable, and that might adapt and modify themselves in relation to data and/or the final user might have important consequences on the construction of the notion of reality. We end up opening questions and observations about the authorship, the audiovisual market, the forms of consumption and the forms of preservation of these resulting audiovisual devices if possible. Keywords: Webdocs, Interactive Documentary, i-doc, constructs, metaphors, UX, interface criticism. This GUNi International Conference aims to be an international meeting to debate on the role of the humanities, and the interrelation between humanities, science and technology in the 21st Century with a special focus on Higher Education. The main objective of the Conference is to open a worldwide debate on the current role of humanities in the social, academic and scientific areas and on their importance to boost a more equitable, more responsible and more democratic society. The event has gathered 160 attendees from 22 countries and from diverse areas of knowledge and fields (education, research, public institutions, organizations) in order to debate on the role of the humanities in the world. The Conference was held on the 19th to 20th November 2018 at the CosmoCaixa Museum in Barcelona. Pau Alsina at the Round Table. More photos here. 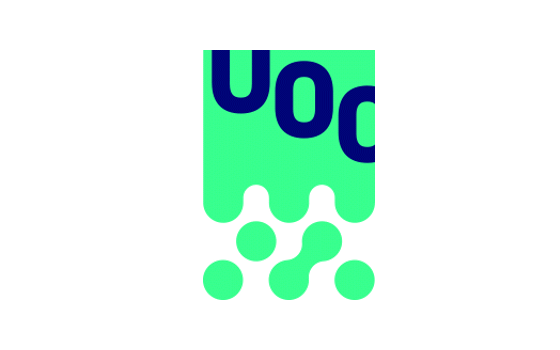 In this presentation we propose a reflection on the teachings of arts at a higher level and, more specifically, on what its virtualization supposes, taken as a case the Arts Degree of the Open University of Catalonia (UOC). In the first place, the challenges and possibilities of the virtualization of artistic education in general are pointed out, such as the difficulty of virtually conveying the material and copresential nature of teaching in arts, the need to maintain a relationship that is both individualized and relational. in an environment that tends towards massification, and the opportunity that this environment offers to develop a contemporary and reflective approach to media and artistic languages. Secondly, we focus on some aspects and characteristics of both the UOC and the Degree in Arts, showing its curricular mesh and some of its virtual classrooms, and highlighting some of the challenges that its implementation has involved, such as the need for a greater visual dimension of the teaching environments, of overcoming the analog-digital dichotomy, or of generating multidirectional communications, among others. Finally, we share some reflections and questions about which we want to continue working in the future. 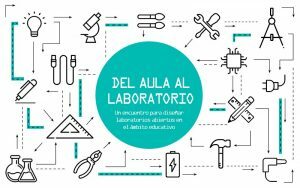 Aida Sánchez de Serdio participates with “La creatividad os hará esclavos: sobre los usos y abusos de las artes en la innovación educativa” as an invited lecturer at the Jornada Hirikilabs. Del aula al laboratorio in San Sebastián (Basque Country, Spain), on 5 November, 2018. Organized by Tabakalera. Aida Sánchez de Serdio participates with “Hacia una formación de artistas expandida: instituciones desbordadas, responsabilidades compartidas” as an invited lecturer at the II Encuentro arte, educación, interculturalidad in the Pontificia Universidad Católica del Ecuador (Quito), between 24-26 October, 2018. Pau Waelder gives the talk “In Stasis and Flux. 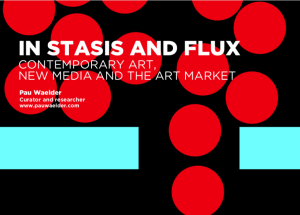 Contemporary Art, New Media and the Art Market”, within the seminar Bytes for Sale. Seminar On Current Trends And The Future Of Buying And Selling Media Art, organizated by AV-ARKKI at Kiasma Museum of Contemporary Art, Helsinki. Irma Vilà reports and presents the report of the 3rd Support Visualists Day of the Festival Eufònic at Sant Carles de la Ràpita. Third edition of the #supportvisualists day, a space for reflection and debate designed to help the visual creators, visual artists and cultural managers sector. 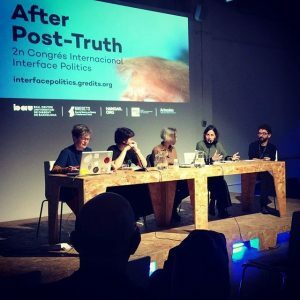 Curated by Antònia Folguera (Sónar + D) and with Irma Vilà as rapporteur, this year the day focuses on virtual and augmented reality, visual content management and reading and visualizing data.